The Armour Lite D3O back protector from Bluegrass Eagle is about as simple as spine safety comes. 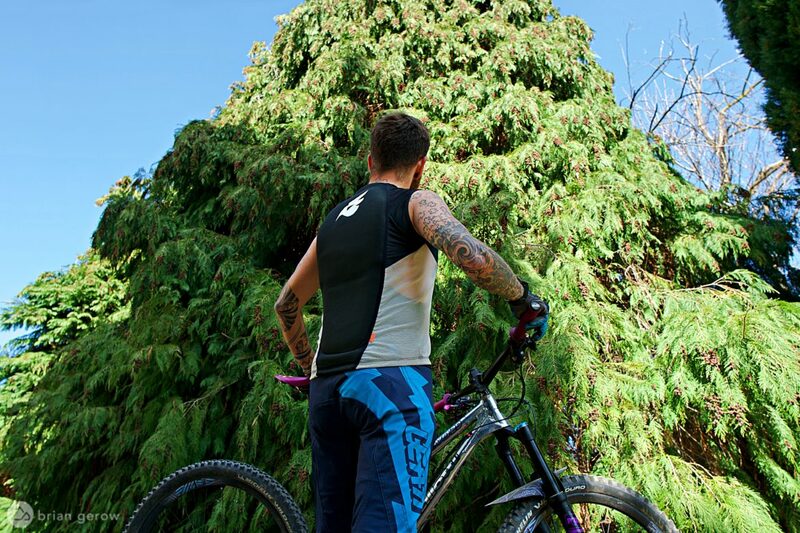 It’s a highly breathable base-layer vest that holds a fantastically engineered protection device in place. That’s all. 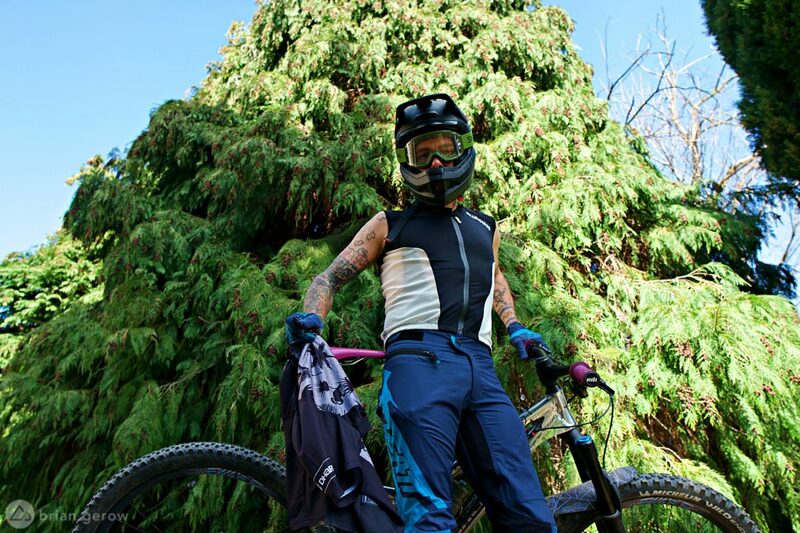 When testing mountain bike protection gear my three primary criteria, in order of importance, are protection capabilities, comfort, and breathability. The last two could fold into one, though there is certainly gear that doesn’t breathe well but feels like a hug on colder rides. 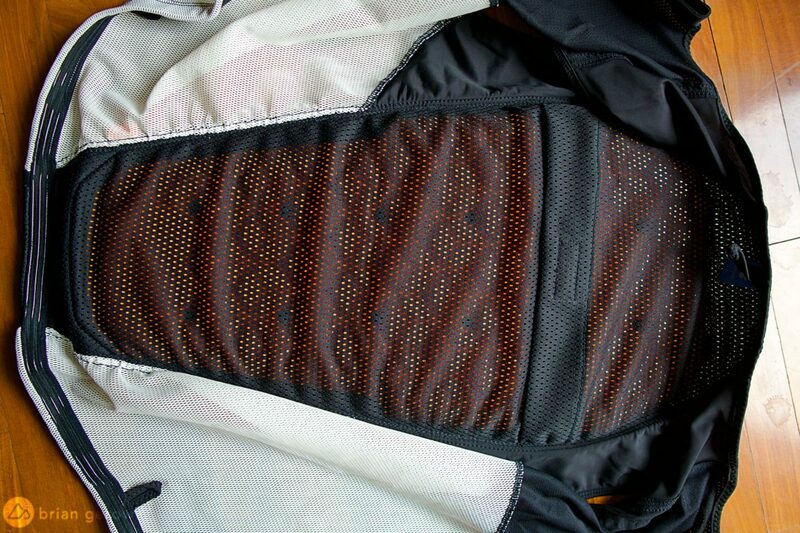 The grooves and ventilation channels in the D3O back protector are visible through the breathable mesh vest. The protector can be removed on laundry day. Like full-face helmets and kneepads, body armor can be unpleasantly hot to pedal in. The Armour Lite vest is breathable in every way possible, allowing riders to stay reasonably cool on summer rides or in races when spine protection is mandatory, or when it’s just a good idea. The only material on the vest that is not a transparent mesh screen is around the arms and shoulders, where stretchy lycra adds flexibility to help body movement. The full-length zipper opens the vest up for maximum cool off time on the chairlift, shuttle bench, or while pedaling a long climb. A silicone strip around the waistline helps keep the vest in place. The form adaptable D3O protector is well vented to provide as much airflow as possible while keeping the spine safe. D3O is a company that designs impact protection solutions for a wide variety of sport and industrial applications. In the mountain bike world, their creations fortify the kneepads, elbow pads, and body armor of several brands. This protection device in the Armorlite vest covers a large portion of your back, forming with the curve of your spine inside its sleeve. The flexible material is hard to the touch, without being abrasive against your skin. The side that faces your body has a smooth surface, covered in vent channels and twelve holes, each roughly 1cm in diameter, to release perspiration and help riders cool off. 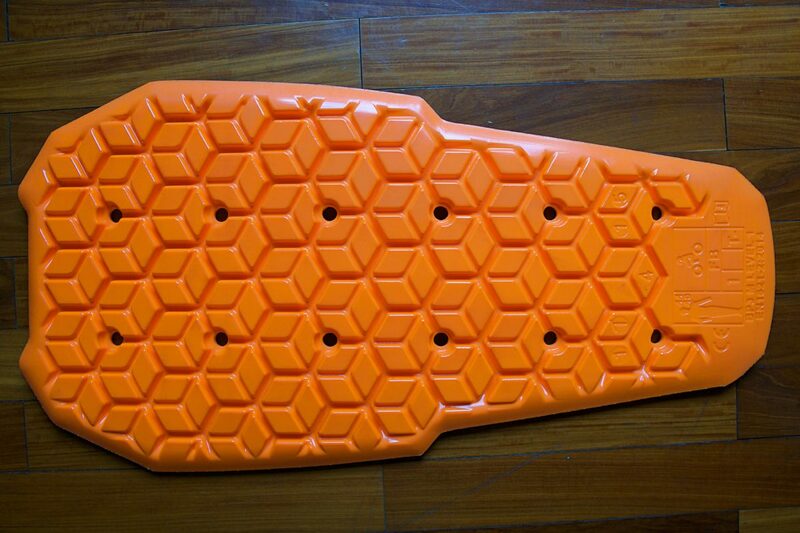 The outer shell has a grippy fabric designed to keep the spine protector in place when you slide across the ground. The Armour Lite D3O from Bluegrass is a fantastic piece of year-round protection and a solid choice for enduro racers who will need to climb with their protective gear on. I haven’t yet crashed while wearing the vest, thankfully, but I can attest to its comfort and well-designed ventilation. Given the feel of the material, its certification ratings, and its broad coverage, this piece of gear has given me confidence that It will do its protective job when the ground comes calling. If Bluegrass added a couple of snack pockets in the future it could be even better, though adding any fabric will take away from the vest’s superb breathability. Likely it is worth keeping the vest simple, and using other pockets or pouches for trail treats.